@jon The IP changed again? As for those languages, your guess is as good as mine, but it’s your game so – it’s current if you want it to be! I’ve started a public conversation on Patreon about TV episode length and format! Weigh in! 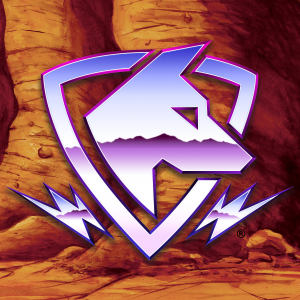 Hmmmm we did have something that was at least a placeholder at one point for the “good” dogs… I know I’ve got it written down somewhere but damned if I can find it. I’ll report back! So the clear answer is NOT whatever Beasthound is. That’s not a normal thing. But nah, we really haven’t defined any common species. They totally have creatures in that role, but based on the fun of designing stuff I very much doubt we’d ever bother to do a repeat creature. HMMM! That’s a good question… I don’t remember! It’s entirely possible we kicked around some names at one point. I’ll need to consult the naming docs if we even made the note… We’re bad at that sometimes. @doug has done pretty much exactly that! Oh yes please! Share away! I’ll loop @doug in since all the RPG R&D is on him, but go for it! Hey @abbarach! We never did produce any basic blank cards, no. We still hope to get an expansion out some day with additional equipment, but right now the focus in on the podcast series where we put all the gear to the test. This is actually the first time anyone has asked about blanks. 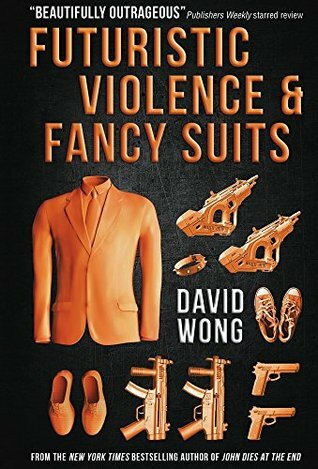 Announcing our next Book Club title, Futuristic Violence and Fancy Suits by David Wong. It’s a dystopian future – but THIS TIME it’s an absurdist comedy. As announced in Book Club episode 14! We’re targeting early 2018 for a record time, so get your feels posted up by New Years Day. A very good and relevant question. One that we haven’t really spent much time with but I think would be a worthwhile exploration that might get *super* subjective amongst Doug, Tony, and I.
DOOOOPE! I LOVE the bird and the megaphone! And Max- that is totally a script. Remember than for next time we get you in the studio so we can have it on file. Or feel free to sneak it into Doug’s notes. Jack has rivals for sure (though we haven’t invented them yet) and those rivals probably have a force of their own. But it’s unlikely that any rival would have the resources Jack has. That doesn’t mean they wouldn’t be able to carve out an advantage though.